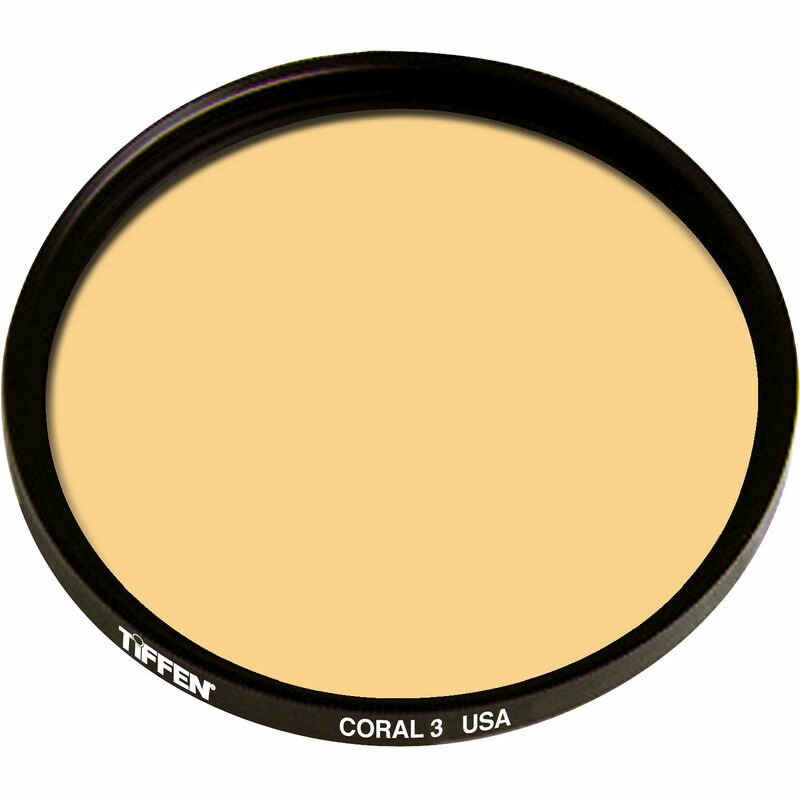 The Tiffen 125mm Coarse Thread 3 Coral Solid Color Filter adds a warm, pale orange coloration across the entire image and helps to subdue overly bluish casts. The solid color design makes this filter well-suited to pairing with other filters for further control over the appearance of imagery. The 3 color density provides less coral coloration than the 4 density, but more than the 2 density filter. Coral-colored filter provides subtle, additional warmth to your images and reduces bluish casts.